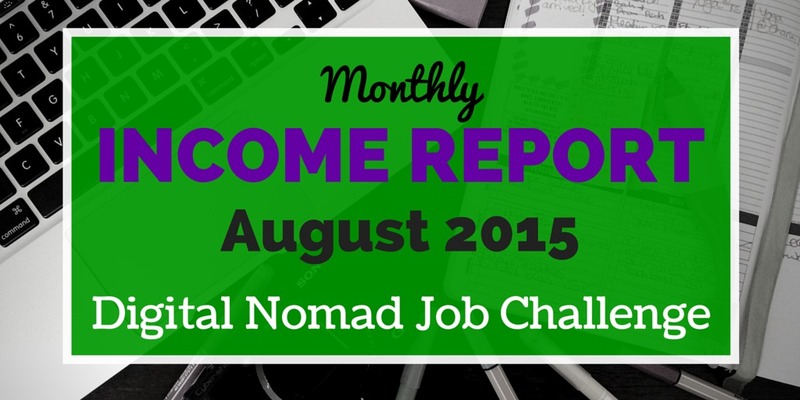 Last month I shared my digital nomad income report about all the money I made from online jobs. I got really great feedback (people like nosing around your finances!) so I’m going to make it a regular thing. This is my income report from August. The jobs I did have changed a little bit as I am exploring new ways to make money for my Digital Nomad Job Challenge. Check out the infographic for the $$$ and I’ll explain in a little more detail further down. Just like last month I made some money freelance writing SEO articles. Sadly, this month was a little less busy so I only made about half of what I earned in July. They were also a bit longer and harder to write so sadly my hourly rate went from around $14 to $11. This one is a new job for my challenge and something I’ve been wanting to try for some time now. I’ve been meaning to write an ebook since Tim Ferris suggested it’s a great way to make some passive income, but I was never really struck by inspiration. 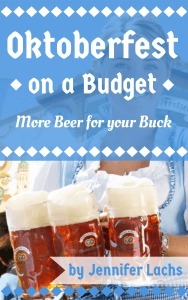 That is until I had the idea to write a guide about Oktoberfest on a Budget, something I have been very passionate about for a very long time. I can’t really calculate the time it took me, but it was a fun process and I learned a lot. I’m planning to write more ebooks in the future to get a nice little side income going. I got this gig through a friend and fellow blogger in Chiang Mai. Basically, I am writing custom guides for a travel websites. I get paid $50 per guide and extra if I include photos. I’m hoping this will become a more regular gig, so hopefully it’ll feature again in the future. It shows once again how important it is to use your contacts. Is this enough to survive in Chiang Mai? Nope. Was it enough to survive during our internship on Koh Phangan where we get room and 2 meals a day free? Nearly. I covered 70% of my spendings, which is not perfect yet, but definitely going in the right direction. Hopefully it’ll be more next month!